Here we are with a book giveaway. Get excited, get very excited. Just leave a comment and you might get this book! 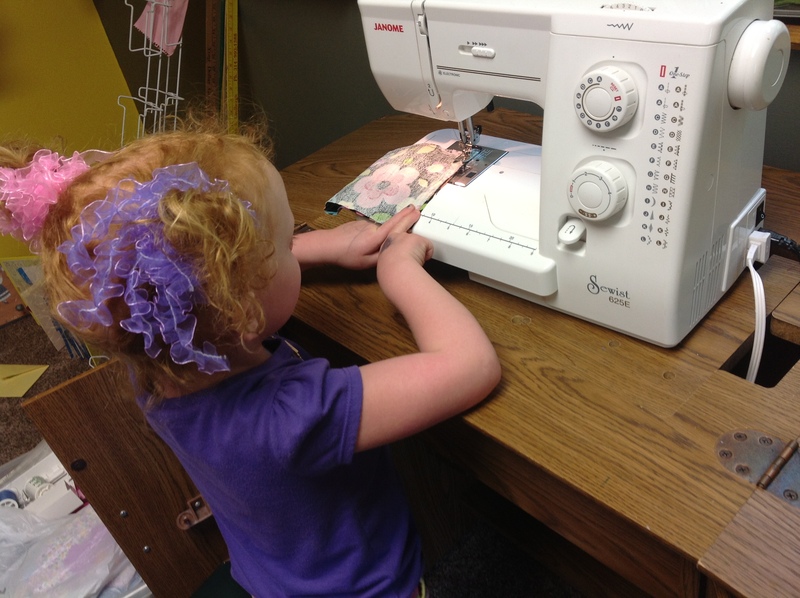 Part of this book is teaching kids the steps to getting organized and safety procedures involved in using a sewing machine. Some of the first project this book involves is crafts to get you ready to be succesful in your future sewing adventures. 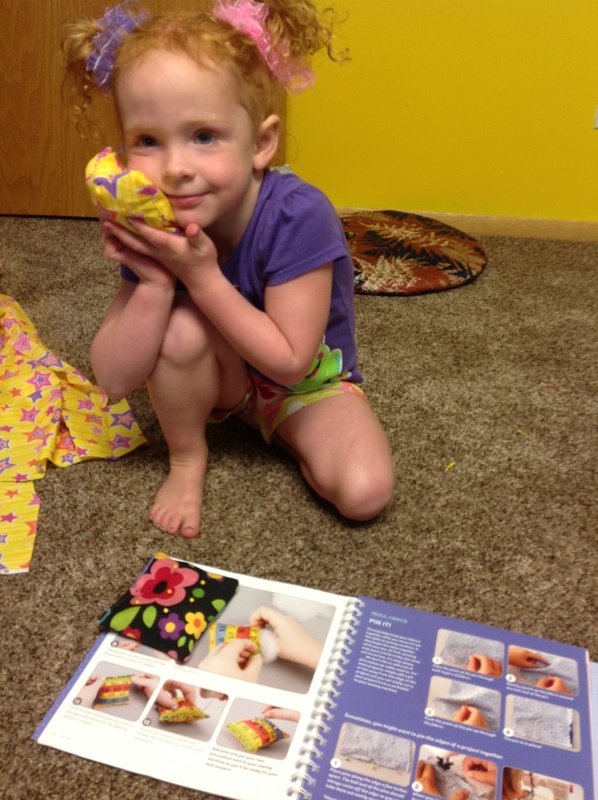 Aleah wanted to make a pin cushion to get her prepared to be a super sewing girl. The only thing we changed is instead of using stuffing for the filling we used rice so it can double as a bean bag for games when we take out the pins and need a bean bag like item. There were MANY cooler things we could have made but we squeezed this project into the time where Hudson AND Sophi were napping. All the while hoping they would stay sleeping long enough for us to get this finished. Good luck with the giveaway and thanks for stopping by! 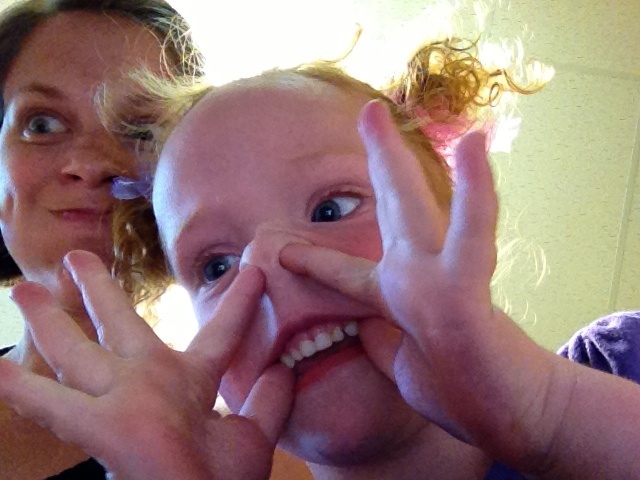 Caitlyn, it’s impressive how you and Aleah did that project while the other little ones were napping. 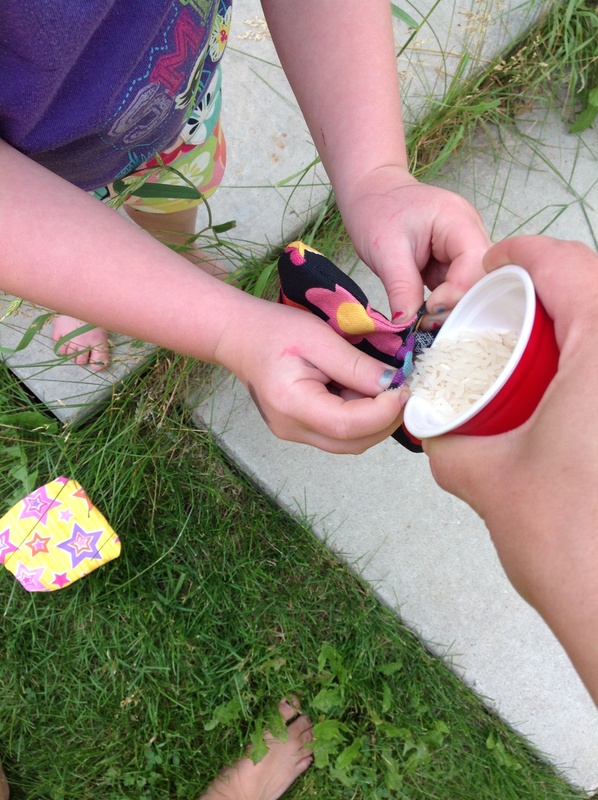 I love the pin cushion – every sewer needs one, and it was easy for Aleah to make herself. I’m thinking I need to get this book, especially since Zoe is really into sewing. Thanks for sharing your creative life with us! Great job Aleah (and Caitlyn) I don’t need the book though! I like to use flax seeds (whole) in the bean bags so nothing sprouts, you can also use them as little heating pads or keep one in the freezer for boo boos! You cn try adding an dried herb like lavender to make it smell nice. 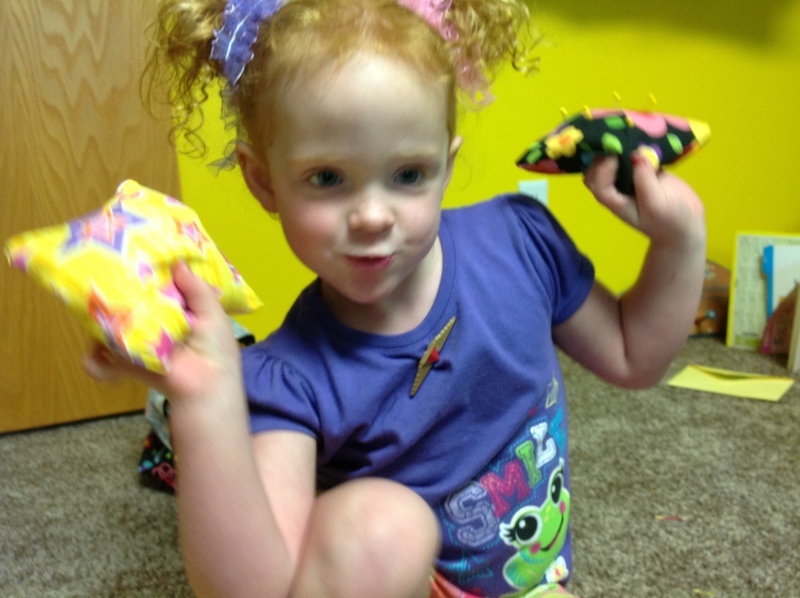 Guess Aleah will be coming with us soon to the north wood sewing weekend! Your daughter looks so proud of her project! 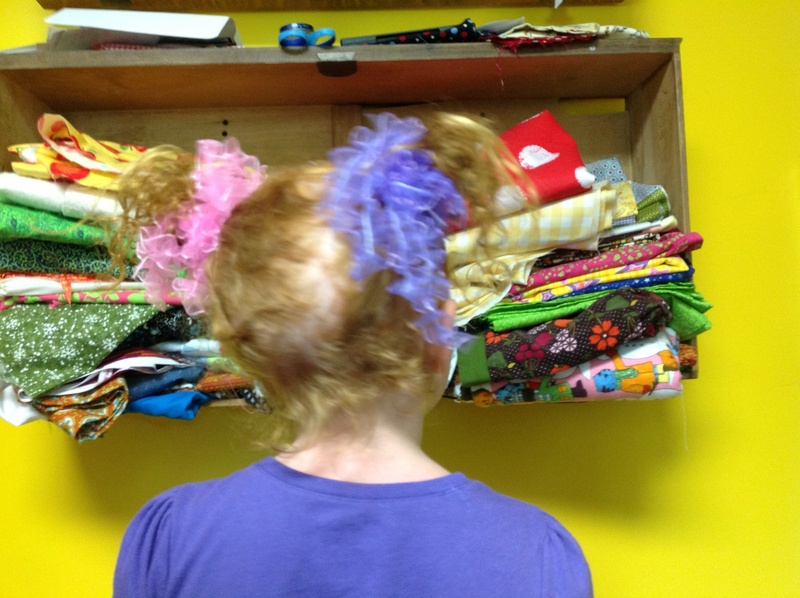 A pincushion was the first machine-sewing project I did, too, and I still have mine at 43. Thanks for the chance to win the book! She is such a little sweetie 🙂 I can’t wait to start teaching Lynne how to sew and quilt! Love this. 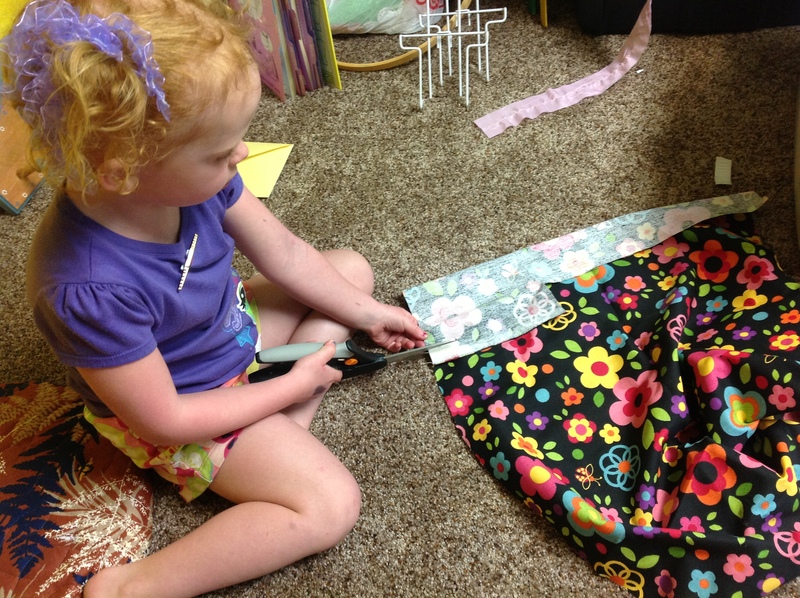 Just getting my own daughter into sewing! I would love to have this book for my little girl. She’s 6 and I just got her her first sewing machine. I love your little girl’s pin cushion and her silly faces 🙂 Thanks for the chance to win!